Did you know that UPMC has over 14,000 nurses on our team? UPMC nurses are advocates, leaders, innovators, educators, life-long learners, and mentors, and we couldn’t do what we do without them! 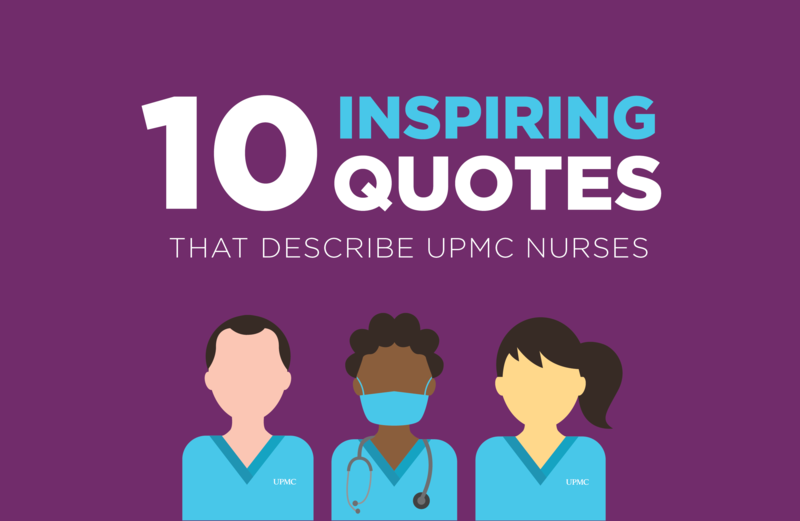 We rounded up ten of our favorite quotes about nursing, and are dedicating this post to all the compassionate and talented nurses on our UPMC team! Feeling inspired to become a nurse at UPMC? Learn more about the nursing careers at UPMC. Share this post with a nurse in your life, or explore nursing careers at UPMC for yourself on our UPMC Careers website.